Save $50.00 Now! Want to see someone FLOAT in the air? Exciting Family Fun for ALL ages (even the adults). 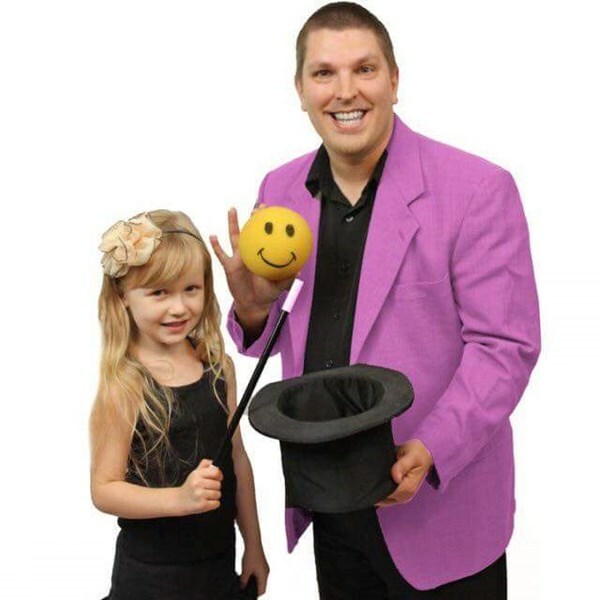 Todd McKinney will have you laughing out loud during his explosion of magical entertainment. Featuring HIGH ENERGY magic that will blow your mind and leave everyone wanting more. Check out his reviews- ALL 5 STARS! Voted BEST Magician 4 Kids! Winner for "BEST OF 2014 & 2015"
Say goodbye to the same old BORING card tricks, coin tricks and rope tricks! None of that in this show! Magic, Levitation, Comedy & Lots More! Designed not only for kids- also exciting for the adults as well. Upbeat Music, Audience Participation, Join-In-Fun and lots of surprises that you didn't see coming. Todd McKinney is a full time professional magician and educational entertainer in Houston who uses magic tricks, storytelling, music and tons of audience participation to create the most original programs you'll find anywhere. Todd is the busiest entertainer for kids you'll find in Houston Tx. (when you see the show, you'll understand why). When it comes to planning the perfect event for kids, you have many choices in and around Houston. Why not go with a proven leader with years of experience and over 8000 shows? Todd provides the finest in children's programming while making you look good! Todd offers programs for: elementary and intermediate schools, church groups, public libraries, summer camps, blue and gold banquets, scout groups and even children's birthday parties..
Todd McKinney's programs can be presented 'just for fun' or you can have him present an educational program to your group on Bullying and Respect, Reading and Literacy, Test Taking, Self-Esteem or Drug Awareness. Todd's educational programs have been presented in over 1000 schools and have received rave reviews from school officials. Todd also offers christian illusion programs for Sunday School, Children's Church and Vacation Bible School. Great show that was very fun for everyone! Todd McKinney blew us all away with one of the best magic shows I've ever seen. His magic and comedy was very well received not only by the children but by the teachers too. I'd give him more than 5 stars on here if I could. Todd did a really good show for our kids! We were very happy with the show and the entire experience. We just had Todd McKinney perform at our son's birthday party and all we can say is wow! Todd did an awesome job and had us all spellbound for close to an hour. His magic tricks were really good! 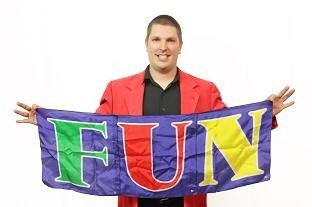 We had heard from others that Todd was the magician to hire when planning an event for kids. No doubt whatsoever that this guy knows how to entertain kids. We were so impressed with his show today that we booked him on the spot for an end of school celebration at the elementary school in our neighborhood. Thanks! Please note Best Magician 4 Kids- Todd McKinney will also travel to Bellaire, Galena Park, Alief, North Houston, Missouri City, Pasadena, South Houston, Stafford, Humble, Sugar Land, Channelview, Pearland, Fresno, Deer Park, Katy, Spring, Cypress, Klien, Friendswood, Manvel, Thompsons, Barker, Highlands, Kingwood, La Porte, Webster, Crosby, Richmond, Porter, Rosharon.